Ladies and gents, put your dancing shoes on. 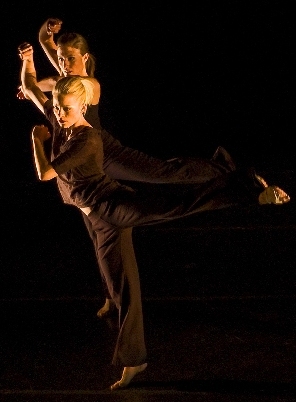 Chicago Dance Crash is hosting auditions to join their elite dance crew for the 2011 season. Dance Crash is looking for athletic contemporary dancers to either join as ensemble members or are willing to be guest artists. If you are chosen as a company member, you will receive a hourly rehearsal salary and performance stipend. It's a perfect opportunity for all those unemployed dancers out there to do what they love and get paid for it. The audition will include a warm-up and excerpts from Dance Crash's repertoire. They recommend that each dancers brings a headshot and resume though it is not required to audition. Walk-ins are welcome however it is encouraged that you RSVP to Mark Hackman at mhackman@chicagodancecrash.com by June 17 if you are interested. Auditions are being held at the Visceral Dance Center (2820 N. Elston Chicago) on June 20 and sign-in starts at 2:30 pm. Good luck!